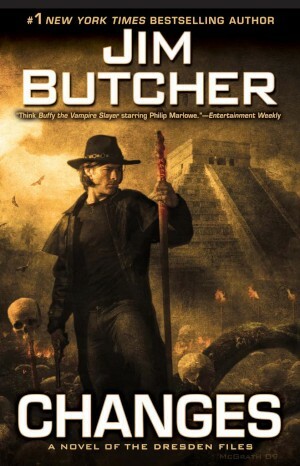 Today I’m going to talk about one of my favorite book series: Jim Butcher’s The Dresden Files. 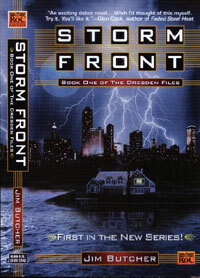 The central character is Harry Dresden, who happens to be the only wizard in the Chicago phonebook. He’s not pulling a scam either. He really is a wizard. He can make potions, cast spells, summon various spirits and entities along with all that other wizardry stuff. He works as a private investigator. Needless to say he’s good at fulfilling the cases he takes since he has access to abilities vanilla PIs lack. At least at the beginning. As the books go on things start to happen that draw him deeper and deeper into the dark side of the supernatural. I love the world building of these books. Among the various things and people that Harry Dresden deals with are: several types of werewolves, four different Courts of vampires (Red, White, Black and Jade), both the Winter and Summer Courts of the Sidhe (the Rulers of the Fae), a Valkyrie and her boss, the White Council of Wizards, the Black Council (mostly wizards plus evidence of something else and if the Black Council actually exists which some people in the books don’t believe), the Grey Council (Two wizards and a mostly retired god so far), a skinwalker (not the nasty Native shamans but one of the things they learned their stuff from, and it makes them look like kindergarten children for pure evil), ghouls, the Knights of The Cross, an island/entity named Demonreach, oh, and Bob. 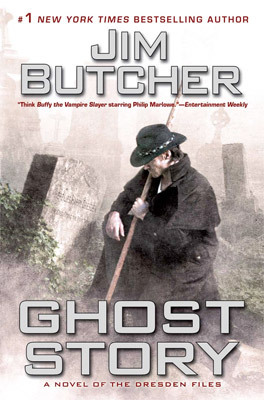 Mr Butcher has also created some original supernatural beings as well. My favorite is the Denarians. I mentioned the Knights of The Cross above. There are three of them. Each bears a sword in which a nail from The Crucifixion is set. The Knights travel the world fighting evil. They always seem to be where they are needed. They aren’t necessarily Catholics though. One became a Baptist after a concert when he was invited to meet ‘The King.’ He thought he was meeting Elvis. Another is a black, Russian agnostic. Seriously. Arrayed against them are the Denarians. Each Denarian is a fallen angel residing in a piece of silver, a denarius, an old Roman coin. There are thirty coins. So you can guess what they were used for. If a human picks up a coin the Fallen start to work on them, corrupting them. It gives the person great power, but using it corrupts them further. Eventually the Fallen possesses the person. Save for a few who work in partnership with the Fallen, and these are the scariest of all. The Denarians are constantly working towards bringing about the apocalypse and they’ve come close far too often. Another original creation of Mr. Butcher’s is The Archive. The Archive is a, spell structure I guess you could call it, in which everything written down in history is stored. The Archive exists in the body of a woman and has since it was created. The woman has access to this knowledge. Think about that: she has computer passwords, blackmail material, financial information, nuclear launch codes. In short a very great amount of power. When she dies the Archive is transferred to the woman’s daughter. The current Archive is about fourteen years old as of the most recent book. Nice kid, but very, very scary. Oh, and Bob. Bob is a spirit contained in an enchanted skull. Bob is basically a simpler version of the Archive, but concentrated on the supernatural. Harry uses him as an encyclopedia of things that go bump in the night along with potion recipes, spell instructions along with historical events and important personalities in the occult world. Bob has a snide, sarcastic personality as well as an enormous fondness for romance novels, the spicier the better. He adds a lot of fun to the Dresden novels. Then there’s ‘Gentleman Johnny’ Marcone, the crime boss of Chicago. Marcone is an example of ‘I have no morals but I do have standards.’ He rules crime in Chicago ruthlessly. He has no qualms about doing what it takes to get and keep his power. But, if you work for him and you hurt a child, that lack of qualms will be turned against you. He doesn’t like people who hurt children. He also works hard to keep violence out of Chicago, and he knows about the supernatural world which he also works hard to keep out of his city. In fact he’s a baron under The Unseelie Accords, a sort of Geneva Convention for the supernatural world. So he has both temporal and occult power. In someways I find him comforting knowing that vanilla mortals don’t have to be prey and nothing else. What is also fun is the relationships between all the characters. There’s the grudging respect between Marcone and Dresden. There’s Dresden’s relationship with his brother, who happens to be a White Court vampire. Dresden’s relationship with the White Council is rocky because he was first trained by a warlock and most wizards are just waiting for the day Harry turns bad, plus he mouths off to them a lot. Harry’s main backup on his adventures is a vanilla mortal by the name of Karrin Murphy. She’s a police officer and has faced more monsters than most people can imagine. Their relationship is, complicated, mostly because they’re so damned in love with each other but neither makes a move because of, well, a lot of things. These books are damned fun to read. So, if you’re ever in the mood for urban fantasy, grab the Harry Dresden books. You’ll enjoy them a lot. Just make sure you read them in order. Although each book can stand alone they work much better as a series. Now, off to re-read Changes yet again.